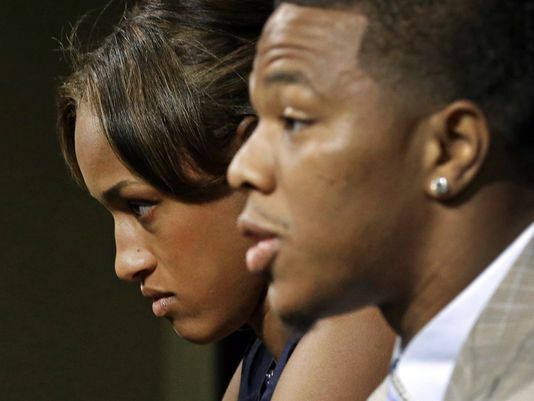 The Ray Rice saga hit a new low Monday, as video was leaked of Rice striking his then-fianceé Janay Rice. It shouldn’t have been a surprise to many, yet it sent shockwaves through the entire sports world. Finally, after months of speculation, the video of Ray Rice hitting his then-fiancée Janay has been released, and it was more disturbing then most would have thought. For months, we had only seen the video of Rice dragging Janay out of the elevator of a casino in Atlantic City. It was clear that Janay was unconscious and that something had happened to her, and Rice was immediately charged with aggravated assault. After months of investigation by both the police and the NFL, it was deemed that the charges against Rice would be dropped and he wouldn’t have to face jail time if he completed a pretrial intervention program. In response, the NFL only suspended the former Ravens running back two games, which caused outrage across the league. It appeared as if the case was closed and nothing else would come of it. But then Monday happened, and one of the worst videos one could ever see was leaked to the world. If you haven’t seen the video yet, I recommend watching it, but only once. It is very uncomfortable and disturbing, and no woman should be treated like that. If you don’t want to watch it, that’s totally fine. The video being released prompted the Ravens to immediately terminate Rice from his contract and the NFL has additionally suspended the running back indefinitely. 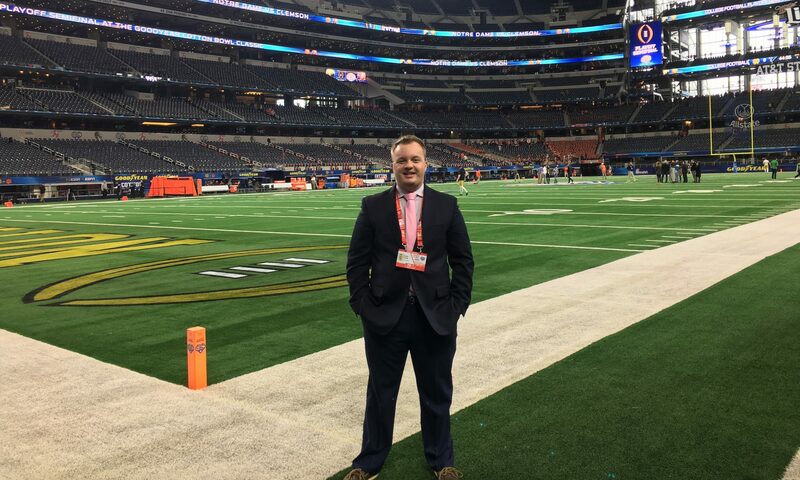 The reaction from players across the league has been nothing but shock and disappointment, which mostly has been directed towards how the NFL has handled the entire situation. Simply put, the way Roger Goodell and the rest of the NFL front office personal has been handling this whole thing has been appalling. From their investigation, to the suspension length, and to how they handled the entirety of the situation top to bottom has just been awful. First, the investigation. When the first video surfaced of Rice pulling Janay out of the elevator, the first questions everyone asked were “What happened? How did this happen? What could have caused that?” Immediately everyone was speculating as to what Rice actually did, but we had no video evidence to back up any claims other then that Janay had been knocked unconscious. As an investigative team, the NFL should have done everything to gather all the evidence they could. Are you telling me that the NFL hadn’t seen that video of Rice striking Janay until today? I find that hard to believe honestly. If it is indeed the first time anyone in the NFL has seen that video, then there’s a problem with the way the NFL conducts their investigations, because this is one of the first pieces of evidence the league should have been shown. Then, there’s the suspension length. Now, before the video leaked out Monday, I had still believed that suspending Rice for a year would have been excessive. However, I thought two games was just not enough. In reality, it was only a five-day suspension. The Ravens played this past Sunday, a loss to the Bengals, and play this Thursday against the Steelers. All Rice would have been gone for was less then a week and he would have been right back with the team. I think a 6-8 game suspension would have been just right for him. The two game suspension also looked pretty weak when, at the same time, the league was suspending Josh Gordon for a year for smoking weed. The suspension handed down to Rice was just an indication of how flawed the NFL policy for played conduct has become. Getting high would cost you more games then knocking out your fiancée. Heck, Matt Prater, the kicker for the Broncos, was suspended four games for having too much alcohol to drink. Or, in the case of Plaxico Burress, shooting yourself in the leg would cost you three years in jail, where knocking out your fiancée would give you no jail time. I know the last example is an indication of the legal system in this country, but you get my point. The fact that Rice was only getting suspended two games was honestly pathetic and quite ridiculous. Finally, the entire handling of the situation by the NFL has been terrible. This has been a unique case for the NFL. Never have we really seen a case of aggravated assault involving such a prominent athlete like Rice. Sure, the NFL has seen it’s fair share of legal problems with their players, but nothing that has left such an impact on the league as this case has. They should have realized the enormity of this case and treated it with higher importance. Everything, from the investigation to the suspension, wasn’t treated with a higher priority, and the perception of the NFL and Goodell has suffered. So where does the NFL go from here? First off, they need to come clean on the entire situation. If they had already seen the video that came out Monday, then they should say that and announce that they made a mistake by not punishing Rice more. The Ravens also need to come clean on everything they know as well. John Harbaugh said that he first saw the new film Monday, which I also find hard to believe. There’s just something that feels wrong about the entire situation at this time, and the NFL needs to come out and clarify everything they know, they don’t know, and how they’re going to try and fix all the wrongs they’ve made during this entire process. It’s a hard time right now for the NFL, and this story isn’t going away for a long time, but one thing clearly needs to happen: the NFL needs to get it all figured out. And fast. If he had not spit on her and knocked her out in the first place, there would have not been anything for the league to screw up.